It's funny how addicting this game can be. I hope you have managed to improve your score and don't worry too much about the top scores, a lot of them are cheats and are constantly being removed from the list. 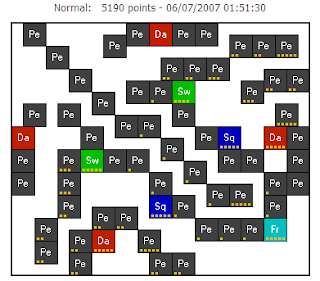 I post my scores to a group score board that I created and that way I can track my own best scores. All the best to you. but look at the score, beaten in medium.